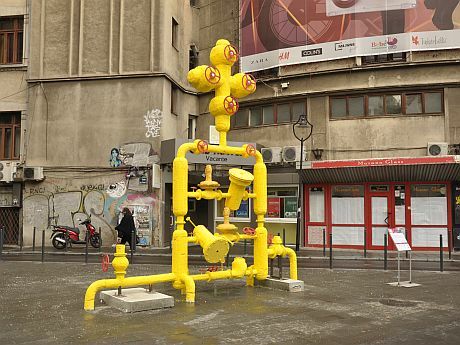 The term of public art, as it has been developing in the Western world since the 60s, is an umbrella term covering varied artistic approaches, ranging from actions of a permanent character to ephemeral ones, from statuary sculpture to performance, or actions featuring sound and participatory projects focused on developing a collaborative relation between the members of a group or a community. All these approaches share the interest in addressing the notion of public, understood and approached either in relation to the public urban space, or as an audience, or as a group or community holding common values and interests, or as public sphere. The parallel and sometimes opposing directions of defining and developing this practice were born due to the fact that they have looked into various ways of understanding the notion of public. 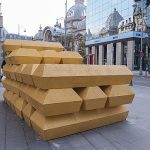 Public art needs to meet other requirements than the one exhibited in dedicated spaces, such as museums and galleries; it must take into account the social, political, economic and cultural context, and the specificity of the space and context for which it is created and where it is present. Equal importance is attached both to artistic value, and to the manner and direction that its public dimension is developed into; more specifically, the way these approaches explore new types of relations against the multiple perspectives opened by such notion, or the manner how they capitalize on already established ones. The note of American art historian, Hilde Heine, is relevant in this regard, as she stressed that, strictly speaking, no art form is private, as each work is created with the intention of being made public. 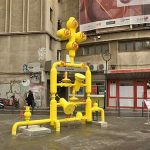 In Romania, the fall of the Communist regime in 1989 slowly and grudgingly opened up the public space as a new arena of artistic expression. 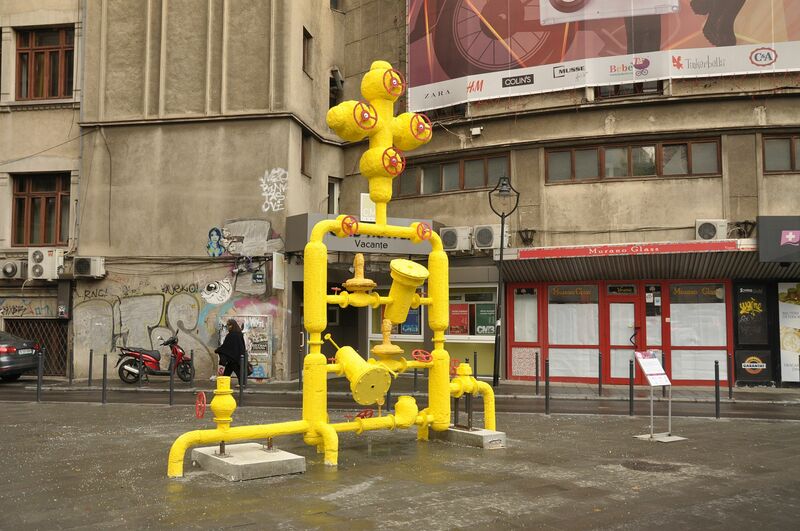 A quarter of a century later, Romanian public art continues to be dominated by the sculptural monument. 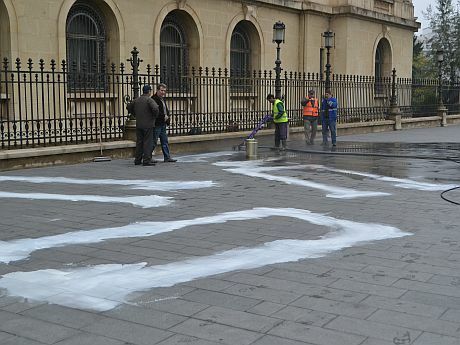 It has been consecrated and legitimised by the current political regime, as the only valid art in public space. Remembering victims and glorifying the past are the monument’s main functions, and taking refuge in national values, identity and history, justifies their presence in the public space. 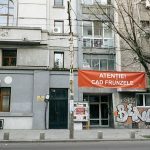 We just continue the trend set in the 19th century, where art would hold the role of promoting and asserting modern Romania’s national identity, either by appealing to emblematic historical characters, who are undergoing a process of mythologization, or by glorifying defining historical moments. This was continued during the Communist regime as a means of propaganda for the Communist ideology, the Pantheon of emblematic figures thus undergoing various changes and fluctuations, required by the needs of the time. After 1989, the new political regime, still appealing to the monument – understood in its classic sense of figure/s on a pedestal -, felt the need to reassert its national and identity values. Politicians uphold them and seek to identify themselves with those values, thus becoming legitimised in the political position they hold. They don’t need any debate or more in-depth analysis of this art form and of current possibilities of expression. The public art program “Expanded Space” was born out of the desire of exploring possibilities of artistic expression in the public space, other than the already consecrated ones, on one hand, and on the other, to establish a new and more direct connection to the general public. The temporality of actions developed within the program allows the artists to approach various artistic forms, from sculptural actions to performance, and also to touch upon current, sensible, even controversial topics. Since 2011 till now, each of the program’s editions has been focused on developing a topic/subject deemed of interest, which would prompt dialogue and interaction between artists and the general public. 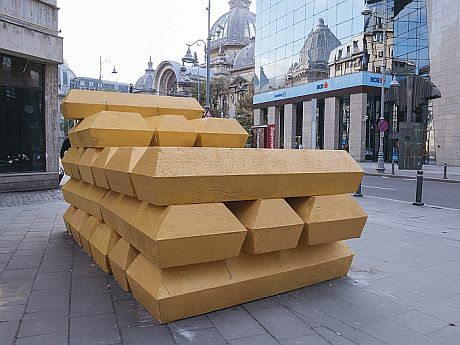 This year’s edition, called Cool Monuments – Hot Heads, is structured around the notion of public monument, undertaking to explore the multiple directions which their presence of such in the public space opens, questioning concepts such as monumentalization, memorialization, commemoration, collective memory, national identity, public space, community. 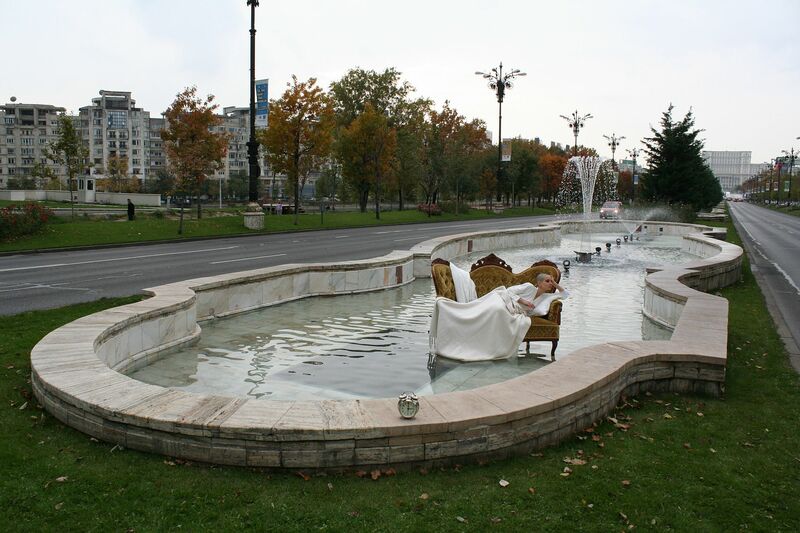 In 2016, the topic of the project was “The Grey Area”, and sought to critically examine the way the multi-dimensionality of public space truly surfaces in urban life, who is modelling public space, how it is delimited against private interests, which are the possibilities of questioning or undermining the establishment by those found in positions of political, economic, or social power. More than in the previous years, our attention was drawn to investigating the concept of public space, starting from defining it as urban space, jointly held and used by all citizens, and which, at least in theory, is freely and equally accessed by all citizens. Varying in topic and approach, ranging from Miklos Onucsan’s apparent humour in “Beware! Falling Leaves!”, to Elana Katz’s endurance exercise, in “ They said it was a dry, warm night”, the six interventions showed a public space that is rather anachronistic and dysfunctional, than one based on dialogue and mutual respect. This concerns the relationships between citizens, between distinct groups claiming a position in the public space, but also between the latter and the public institutions which manage the public domain. *ELANA KATZ, They said it was a dry, warm night , performance , 2016, Bd. Unirii. The very presence, in the public space, of contemporary art which does not fall within a generally-accepted and acknowledged form of art, raises questions. Art is not seen as a means to draw attention to an issue left aside by the official discourses, or whereby one may take a critical stand. It is rather understood as something beautiful, decorative, appreciated through the prism of its aesthetic merits, of the capability of delighting us, and not that of challenging us to a reaction, a thought, a critical attitude. 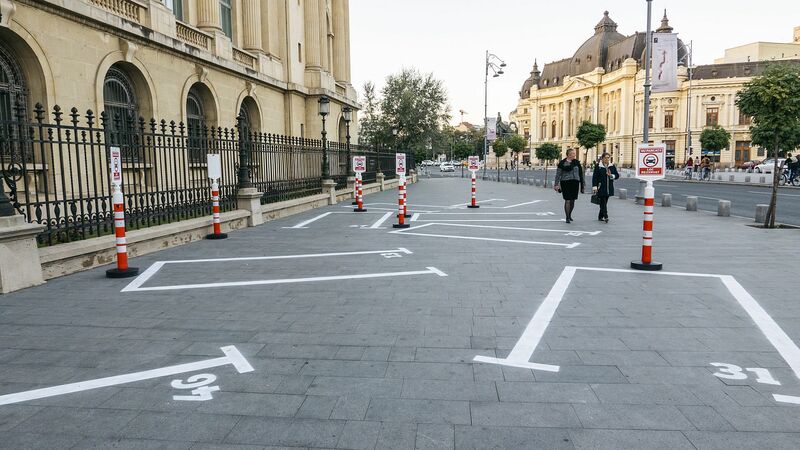 Organizing an art project in the public space entails, now, in Bucharest, a negotiation with the representatives of the Municipality of Bucharest City Hall on what, where, and when may be done. 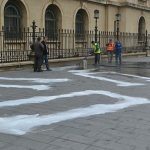 The lack of a legislative framework acknowledging artistic endeavours and the presence of art in the public space as something normal and appropriate, turns such negotiations into questionings such as “but why are they all so sad?”, and a failure to assume a position of supporting works of art, on the grounds that they adopt an uncomfortable position, which may draw criticism to their promoters. 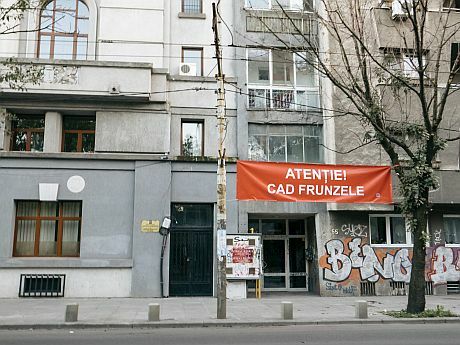 The reactions caused by Radu Boeru’s intervention, in the media, among citizens, but especially within the ranks of public administration, which led to its prompt removal just before the official opening of the project, have revealed the existence of a state of mistrust and antagonism between the needs and expectations of Bucharest dwellers, of the various groups ranking together to claim a space in the public space, such as the community of bicycle riders and the local administration. 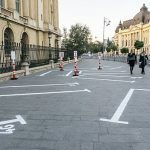 The prevailing voices, in this instance, were not the ones of the majority, who understood the artist’s criticism and humour, in the shape of fictitious parking spaces in impossible places, such as the stairs going up and down from the Kretzulescu Church, next to the National Museum of Art. The art intervention was not seen as a possibility of generating a constructive dialogue, but as an aggression directed towards a certain group or institution. 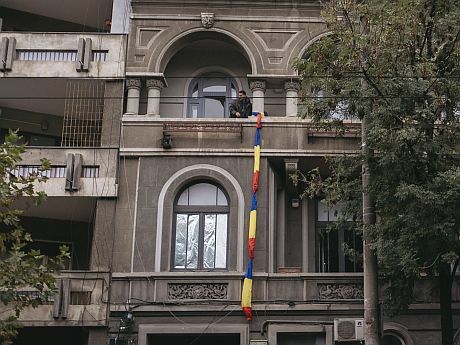 The more surprising seems, in this context, the lack of (negative) reactions to Dan Acostioaei’s performance, or to that of the Monotremu duo, who have used the Romanian flag as a criticism of the very nationalism such symbols represent. Virulent, unjustified reactions, as well as the lack of reaction, are symptomatic of the Romanian context. The public space seems thus a battlefield where several actors claim their presence, where the more powerful voices silence the weaker, less intrusive or abusive. An uncertain space is being outlined, one which is neither public, nor private, where the work of art stands out like an intruder showing us that which we do not wish to see. 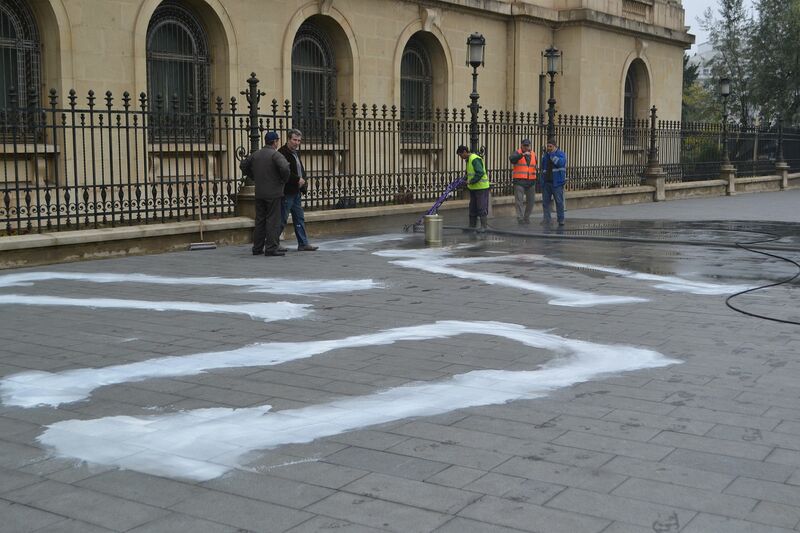 Expanded Space is an public art programme initiated by Vulm Art Association, created by Judit Balko & Mihai Balko. The many guidings and warnings that populate the urban spaces, allegedly aimed at protecting pedestrians’ comfort and safety are usually, in our cities, rather cynical than practical. (…)On the other hand, the artist found a motivation for such intervention in what he sees as a growing absence of people while they are physically present in the urban space. (…) The intervention points out a regular happening whose poetics is based on uttering an uncontestable truth which requires a short reading moment in order to be properly received, one that inserts an interfering jam in the landscape of message communication in the urban space, something altogether ironic and contemplative. ELANA KATZ, They said it was a dry, warm night, performance , 2016, Bd. 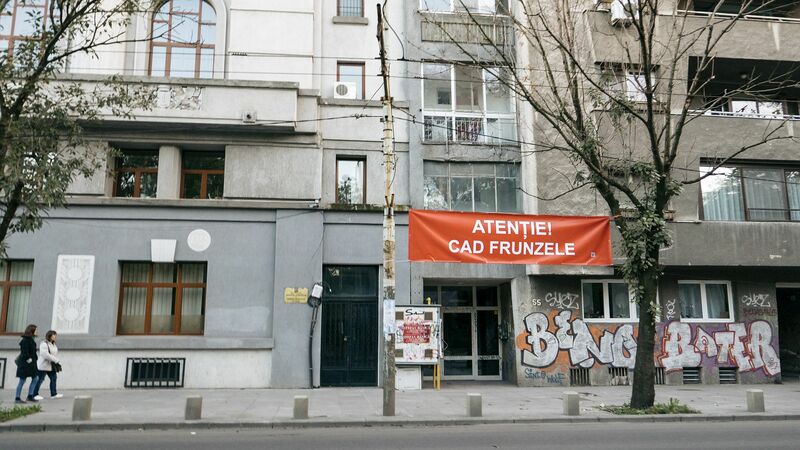 Unirii – Bucharest. This is an allegorical performance. That which “they”– a nameless authority – say to be true is believed without question, regardless of an obvious opposite reality. The artist follows standard socially-prescribed behavior for “a dry, warm night”, with passive obedience. The action stands as a parallel to blind loyalty and compliance to the authority structure within society. Considering the unstoppable growth of the number of cars in the city, parking spots have become scarce. In their respect, the negotiations between citizens and authorities are fierce – and public space, considered under an aesthetical and functional aspect, becomes the first victim. 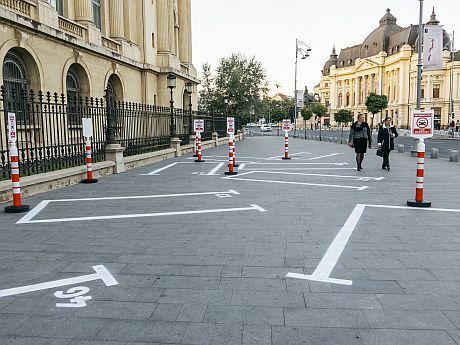 As a direct response, the artist created the series of parking spots called Parking A Lot, aiming to receive genuine reactions from people who see the work and become aware of how important public space really is, and how it is meant to remain as such. The work is an attempt to bring into discussion patriotism and nationalism, the way they influence both public and private spheres, but also the decisions that affect the destiny of personal lives and, implicitly, of a society. 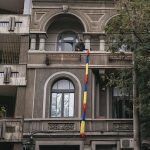 On the backdrop of the recent resuscitation of xenophobic and extreme right movements, the work aims to transform the tricolored flag from a medium of nationalism into a means of personal survival.